SHOW ME YOUR WARDROBE.COM: Show Me Your Wardrobe in June's ELLE - enjoy! 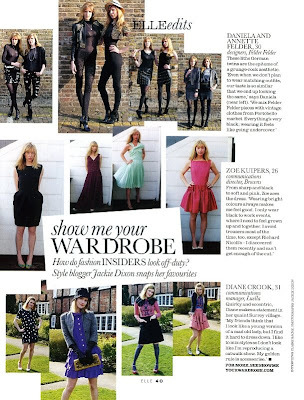 Show Me Your Wardrobe in June's ELLE - enjoy! Perfect blog, i loved it!!! I LOVE Diana Crook's feature!